Bow tie hair bows can be made with any width ribbon you fancy. 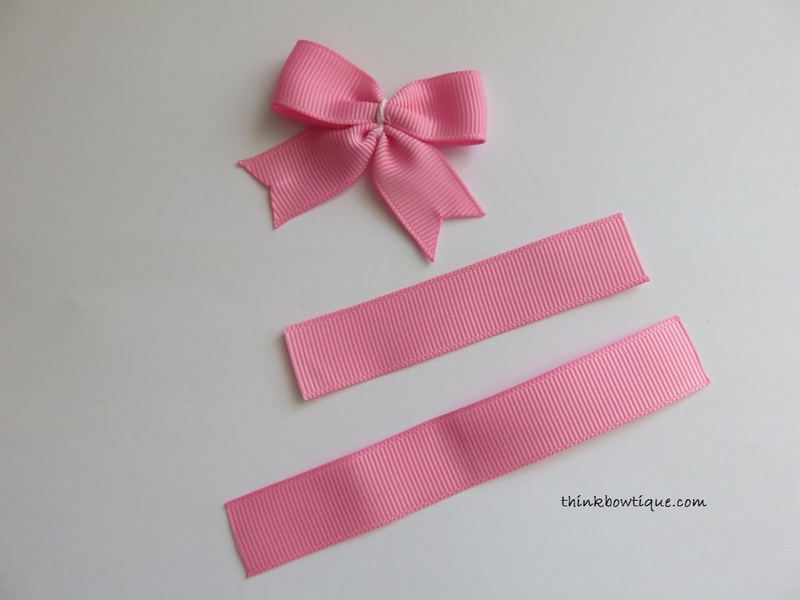 These bows can also be made with either satin ribbon or grosgrain ribbon. You could even use fabric if you wish. For this bow I have used grosgrain ribbon. You will need two lengths of ribbon. crochet thread or 6mm organza ribbon. 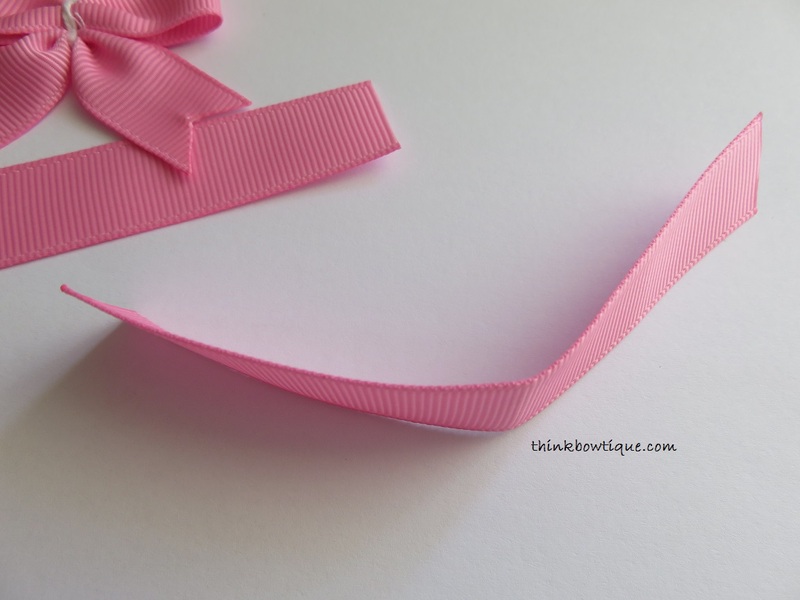 To work out how long your ribbon needs to be decide how wide you want your bow. Than add half a centimeters for the gather and one centimeter for the overlap. Once you have cut the ribbon to length seal the ends with a light. To seal ends of the ribbon with a lighter or flame make sure the flame does not actually touch the ribbon. Just put it close enough that you can seal the ribbon edge melt. 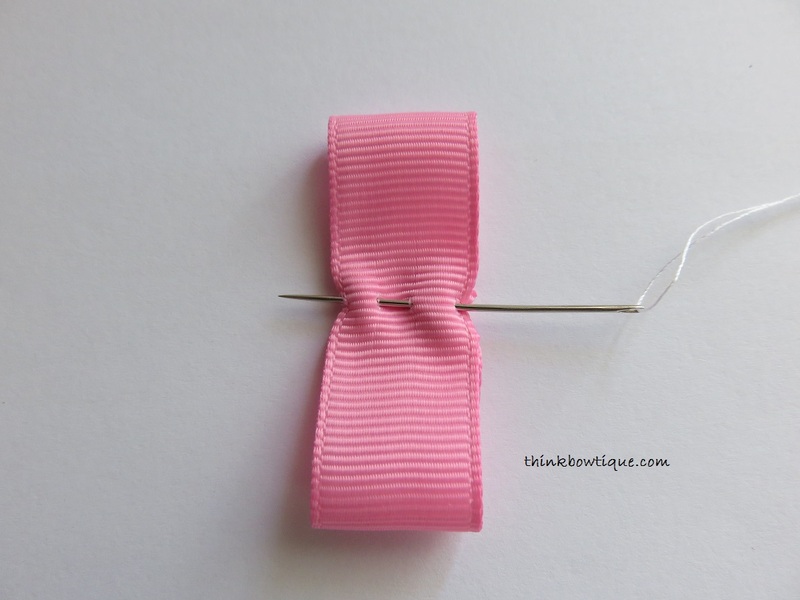 Take you long piece of ribbon this is for your bow tie and fold it in half make a crease. 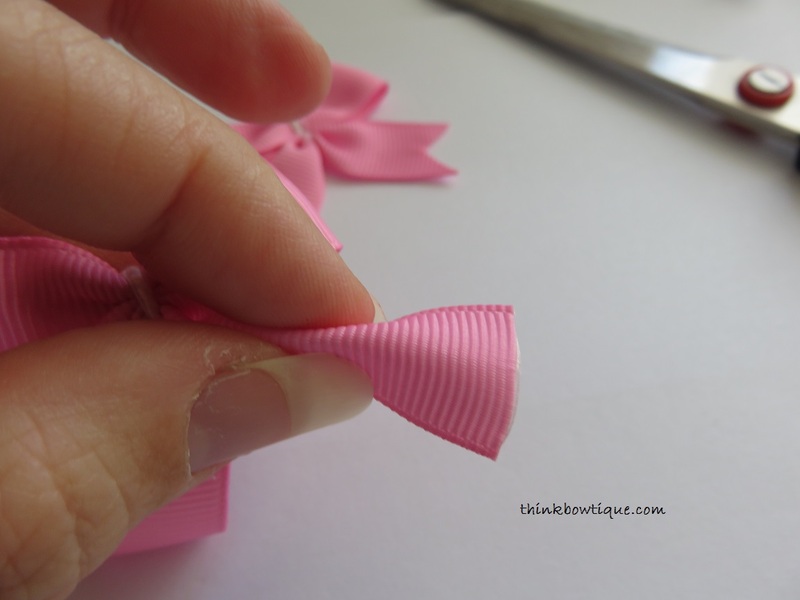 Fold the ends of your ribbon so they over lap half a centimeter over the center crease. Now with your need and thread. Make sure you have knotted the thread. Do a gather stitch with two peeks and a valley. See below photo. Take you short length of ribbon this is your tail. It does not matter if the ribbon is a bit long as we will trim it later. 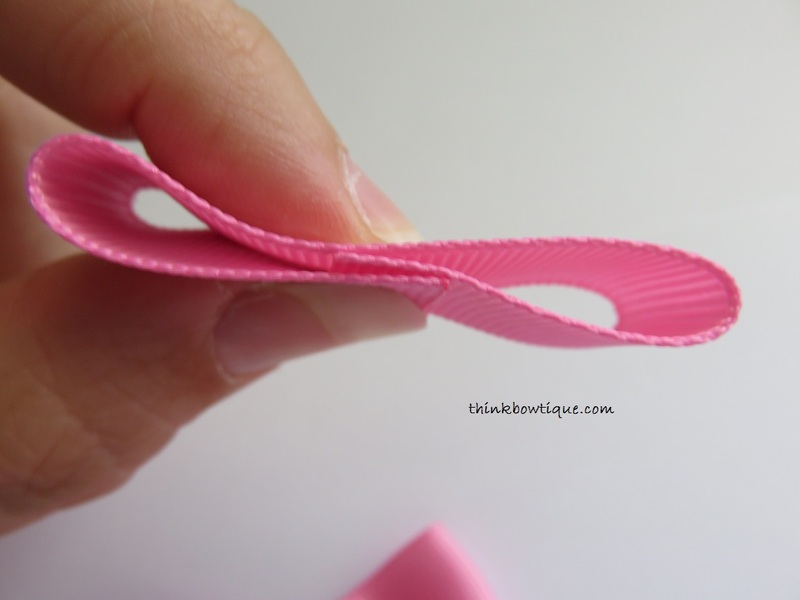 Fold the ribbon in half a crease. 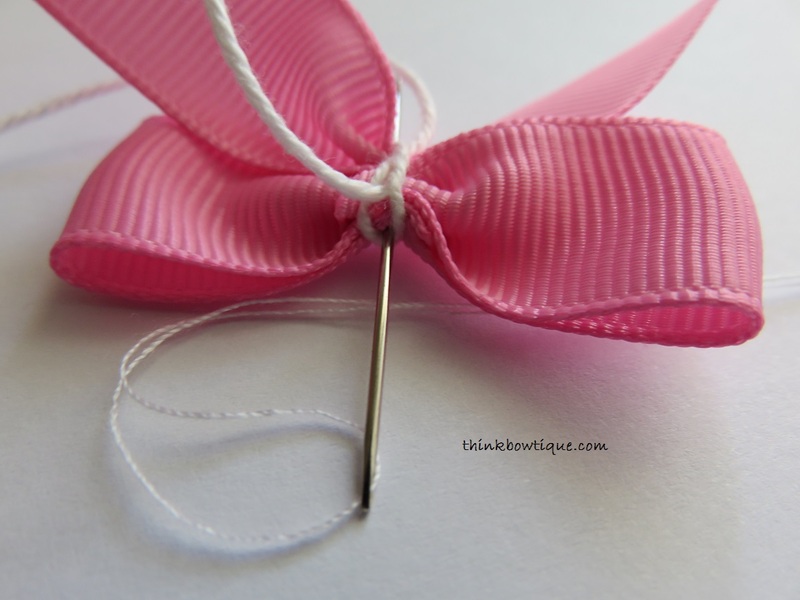 Now continue your needle through the crease line of your ribbon tail. Once your needle is all the way through you will use your crochet thread to knot them together. I like to place the thread on opposite sides of the needle. Do a slip knot like when you tie your shoes only do and extra loop. Turn your bow over and do another slip knot with three loops. Then a single knot and cut. I then like to pull my needle through the bow, wrap it around the bow and then thread it back through the bow and tie it off. Now it’s time to trim your tails. You can cut the tails on any angle you like. I like the V shape. 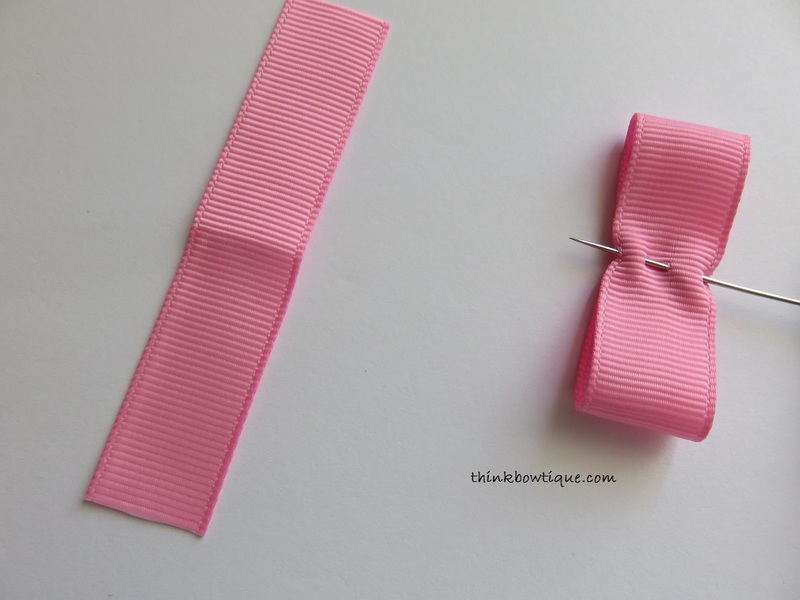 Fold your ribbon in half and cut on 45° angle. While you are still holding the ribbon folded in half seal the ends with the lighter. You now have a bow tie hair bow with tails. 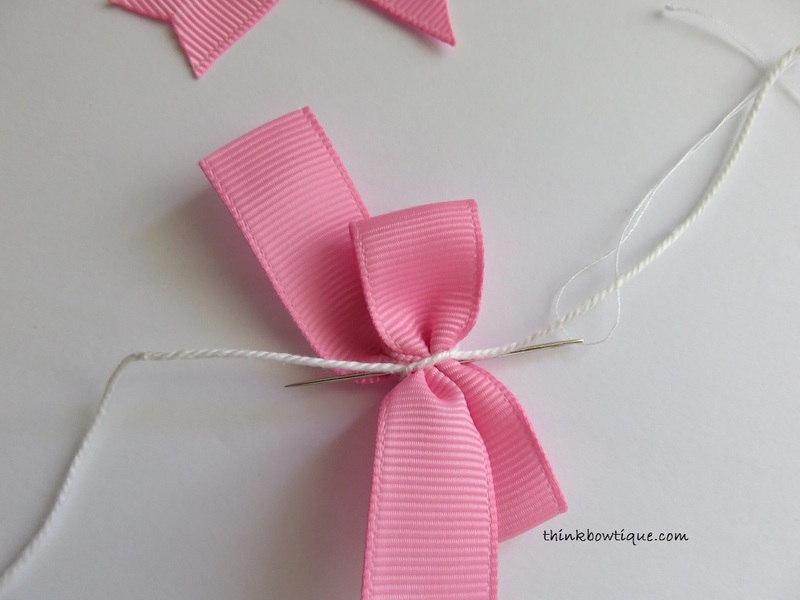 Add 6mm grosgrain ribbon around the centre hide the ties and finish your bow. 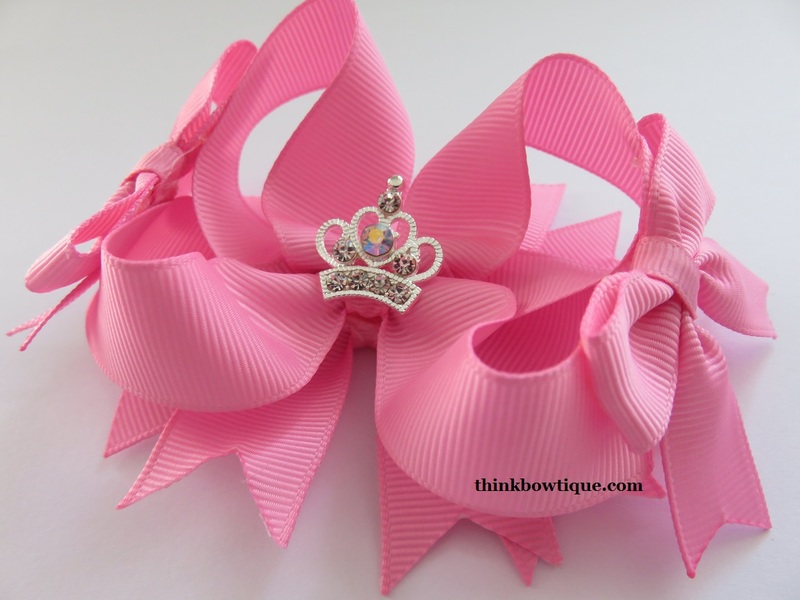 You could add a hair clip to the back of the bow, sew or glue it on another bow, hat, shoes or any craft project your wish. Have fun making them in different colours and sizes. Mix and match your bow colours with your tail colours. 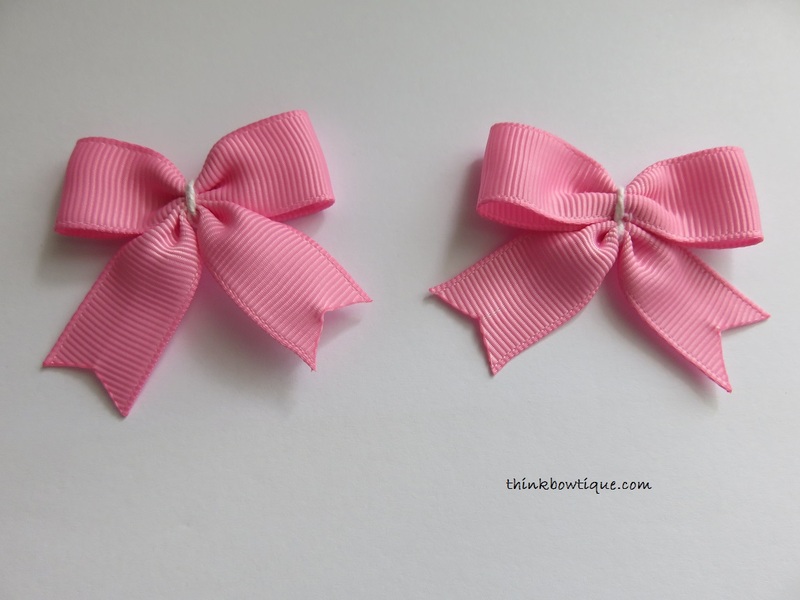 I made these bow tie hair bows with tails in 16mm as I wanted to add them to the ends of a twisted boutique bow. 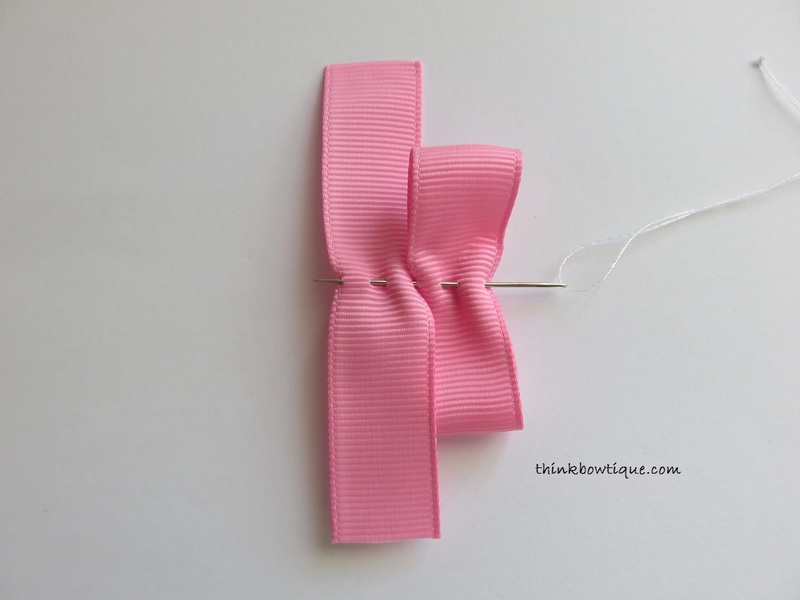 You can find instructions on how to make a twisted boutique hair bow by clicking on the link. Thank you for taking the time to read my tutorial. I hope you find it help. If you like please share this link with your friends or pin it for later.